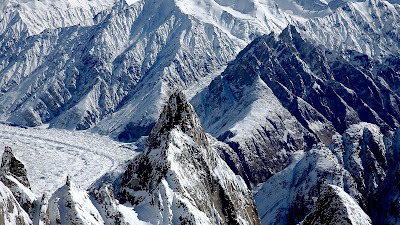 I am Siachen… the land of wild roses. I am the highest, coldest battlefield of the world, the bone of contention between two countries. Life is anything here… but rosy. At 21000 feet above sea level and temperature as low as -65°C, I can be a cold hell; sometimes even worse than the arctic. Yet those guarding me go about their job in the bone-chilling climate which freezes weapons and makes walking a mammoth task. I cover an area of 700 kms… for I am Siachen. The more “active” of my counterpart extends till here – the LOC. The world treats me as a demonic place where angels fear to tread and death seems to be something which lurks at every corner for the soldiers. But believe me, it’s not me who takes their lives, it’s my climate which is too extreme for their bodies. The melting glaciers and avalanches aren’t my fault too, yet I am seen as a brat. 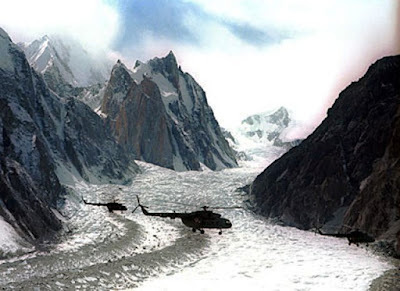 I am Siachen…the land of wild roses. I have seen wars fought for my control; such heroic sagas are embedded in my history. I have witnessed Operation Meghdoot in 84 and then Rajiv in 87. I have seen sweat turn to ice, fingers and limbs lost to frostbite more than hostile fire. Where kerosene stoves are used just to keep weapons warm, the green parkas becomes black, food comes from cans and oranges become hard as cricket balls. Where hunger and appetite take a backseat at these heights and food is eaten just to keep the body energized. Where choppers behave like oversized bumblebees. Where artillery guns have opened up in support of the soldiers whenever needed. I have seen Lt. Rajeev and others sacrifice themselves in the capture of Quaid post. I have seen Bana Singh defy elements to capture the same post with just 4 men. With a fury of a wounded tiger he avenged the death of his comrades and captured the post. I have seen the dying light and soldiers raging against all odds and elements. 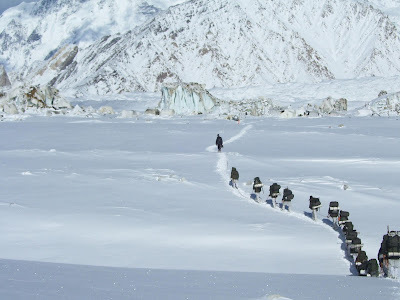 I have seen them climb near vertical walls of ice without second thoughts for this is what the Siachen Battle school trains them to do where only the fittest are sent to serve. I share the jubilation of the troops at the bada khaana when they return to base camp after 3 months tenure. They go as soldiers, return as veterans. I share their gratitude to OP Baba for keeping them safe all throughout. The faith in him so strong that soldiers vow to keep away from alcohol and tobacco during their tenure. Ceasefire or not, soldiering continues, if not for surveillance, just to tread on trodden tracks so that the trail does not disappear in the snow. There are angels here too, they are called as the Air Force and Army Aviators who make sure to keep the posts supplied all the year round in their choppers, in conditions which test both men and machines to their absolute limits. Leave no man behind is their aim as they help bring casualties back irrespective of the weather. Inspite of all this, I am worried about the ecology of my own area. Bio-degradable waste generated is a threat to me and I am highly affected pertaining to that. I can be peaceful and tranquil to the human eye, but my wrath comes to the fore when I am exposed to such treatment. My glaciers melt away causing avalanches, crevices which can open up suddenly to nearly 100 feet. I die out daily because of the imbalance that is created here. It causes me pain and sorrow; pain because of my disturbed ecology, sorrow for the ‘purple’ bloodshed. Soldiers are not born every day, they are special and thus it tears me apart when I see their blood being ‘purple’, so rare, being shed. Whats the use of all this? Crores being spent on me just to maintain control and vigil on me. Even then, we share a love and hate relation; they need me and yet tend to go carefree. For now, I sit here as every year more bravehearts come to prove their mettle as I pose challenges in front of them, to protect me and then be proud that they served at Siachen. “To every man upon the earth death cometh soon or late. And how can a man die better, than facing fearful odds, for the ashes of his fathers, and the temples of his gods”. - Scroll of honour at Siachen War Memorial. You sure remember this, don`t you ?? The story behind this- Thought of shortly after I wrote Kargill, Siachen is our attempt to bring you face to face with the hardest battlefield in the world . The place which remains quiet and forgotten in comparison to the more active “ in the news” LOC, this is hell for those soldiers who serve there, strategically important for Ladakh and Kashmir. Inspite of the hardships, every soldier who has served here is proud to be a part of Siachen in his service career, thankful to have made it back safely during his tenure of 90 days. This place has seen the bravery of past martyrs who gave up their life for the control of this region and the now famous legendry tale of Capt. Bana Singh (PVC) who braved the elements to capture the Quaid Post in 1987 (now named Bana Top). Its for dare devilries like these and the utmost commitment of every soldier that we salute every soldier serving there in extreme weather conditions and present to you a glimpse of Siachen you would have never known. This is Siachen for you…the most unforgiving battlefield of the world. 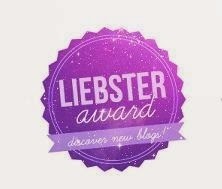 This is my 2nd collaboration with Ila who wrote the previous post I`m Coming home with me. Makes you think do we need war?